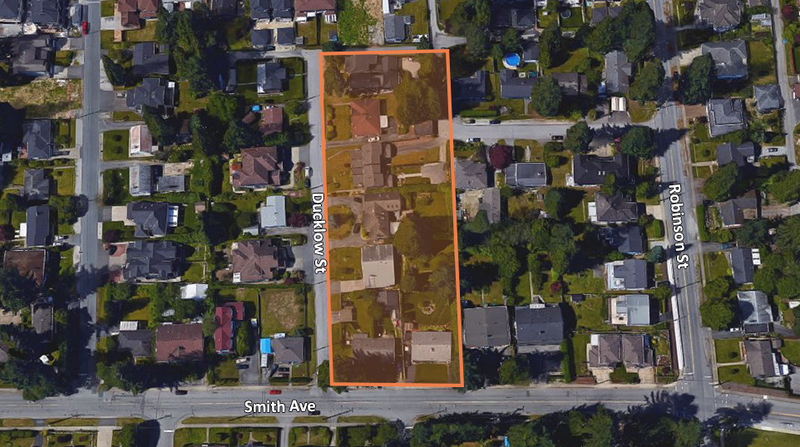 The subject site is designated as “Townhousing” through the Burquitlam Lougheed Neighborhood Plan (BLNP), specifically RM-2. This premier site is fronting both Ducklow Street and Smith Avenue and is within walking distance to the Burquitlam Skytrain Station, future YMCA, and adjacency to Mountain View Elementary and Mountain View Park. Ducklow and Smith present an incredible opportunity for townhouse living. Situated in the heart of Burquitlam and within walking distance of the Burquitlam Station and Evergreen Line, this is an excellent opportunity to participate in a vibrant and growing community. Rapid development and investment into the neighborhood by local firms such as Bosa, Marcon, Mosaic Homes, Intracorp, Bluesky, Springbank, Belford Properties & Concert are ensuring that this development opportunity and the community as a whole will be a success.